Arrived back at Bardney Lock. There was a lot of wind today so it meant crabbing ones way along. 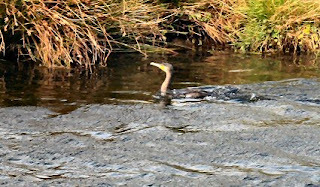 Plenty of divers about with several Cormorants spotted. No Shags on the canal sadly. 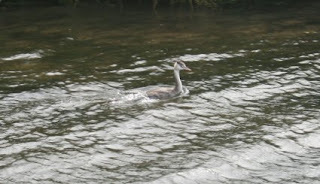 The way that the Crested Grebe dive, no more like glides, its way under water is wonderful to watch. It is effortless the way that they just disappear. Starboard side of the boat is getting the Tim treatment tomorrow.